Oh, Tel Aviv - what a city! And somewhere between sunny days and gorgeous beaches, one of the most incredible coffee scene is just there, waiting to be enjoyed. Coffee shops in Tel Aviv are plentiful, and every neighborhood has at least one café its locals swear by. 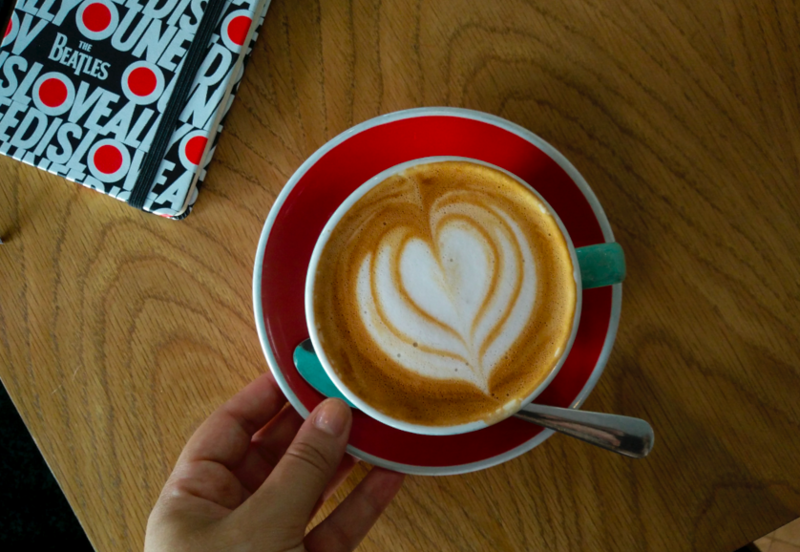 So, before I start rambling on about how wonderful the scene is - I'd like to jump right in and share some of my favorite cafés and specialty coffee in Tel Aviv. As a reviewer on their Facebook page so perfectly puts it, this café is "as local as it gets". WayCup have an array of beans, roasted at their Mikve Israel location, and simply have the best, most friendly baristas who create not just perfect cups of coffee, but also happy morning experiences. Bonus - the chocolate chip cookies are incredible. And they are one of three spots around town serving the Insta-famous (and madly delicious) pistachio and amaretto cherry cake. For me, this artisan roaster and coffee shop was my first proper introduction to the great TLV coffee scene. I used to live right around the corner from the Shlomo Hamelech location, and I quickly found myself enjoying morning cortados multiple times a week. It's pretty safe to say that no visit to Tel Aviv is complete without a stop at any of the Cafelix cafés. This micro-roaster and café is located right on the corner of Dizengoff Square, in the absolute heart of the city. Nahat is all about serving their own high-quality beans from the world's top organic farms. But besides the great coffee, this is one of the best spots to take your laptop and work. Plus they have great food - I recommend the mozzarella, artichoke and mushroom penini or their beetroot and blue cheese salad. I also want to mention that they do a damn good oat milk flat white. I am always seeking cafés which serve oat milk, but also cafés that actually know how to use it. Their oat flat whites always impress me - especially with their Papau New Guinea blend! This coffee house is one big celebration of Costa Rican coffee. As of writing this post, Mae offers 8 different Costa Rican blends on its carefully crafted coffee menu. Both the Montefiore and Ibn Gvirol locations are absolutely tiny but welcoming - the big marble bars and rows of packaged beans and coffee accessories make it a pretty cool spot to jump in and grab your morning coffee on the go - in style. Tip: try the "purple" blend. This Brazilian style, family run specialty coffee house is another spot you can’t miss. It’s known for being true to its name - people come here to enjoy the freshest cup of sourced and deliciously roasted coffee. Here you can also find lots of Brazilian treats to accompany your coffee - if you’re lucky, you’ll get treated to a freshly baked pão de queijo. This spot is literally a street side corner that one day transformed info a bustling yet very laid back coffee shop. Located just one block away from the beach, this spot is everything great about Tel Aviv - sunshine, cool people, the open air, cute dogs and most importantly - the coffee. Papau serves two unique blends made just for them, in addition to a great selection of sandwiches, pastries, cookies and more.